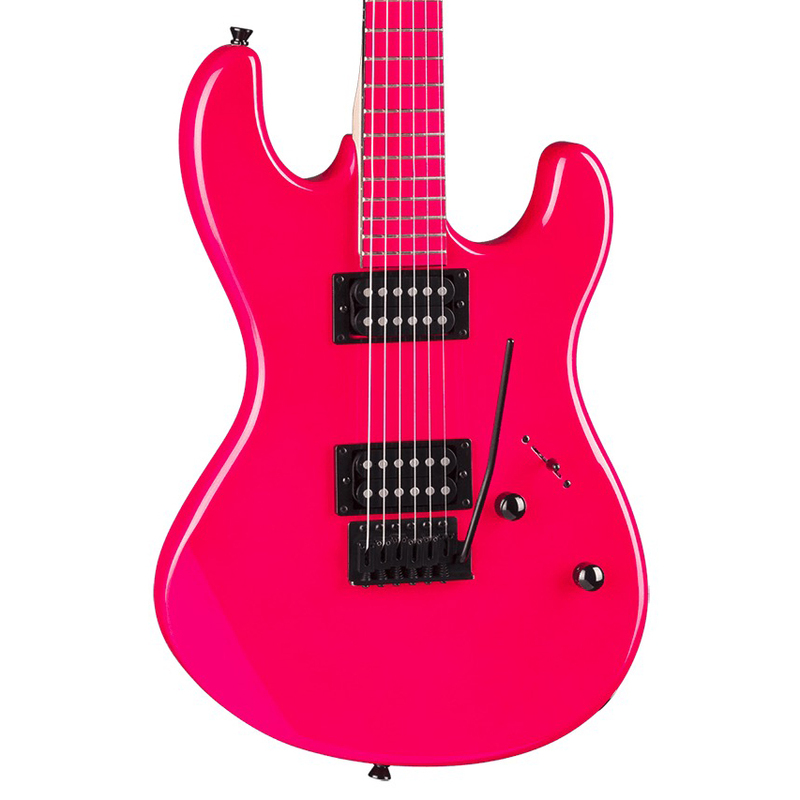 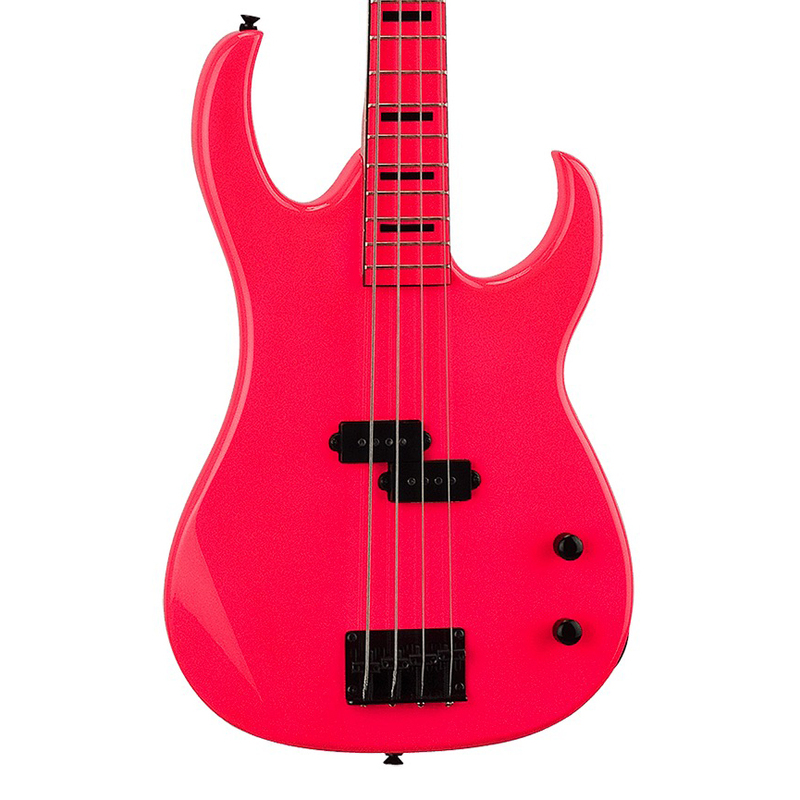 The Dean Zone Bass Guitar is an unruly axe with shocking colors and a sensuous basswood body. 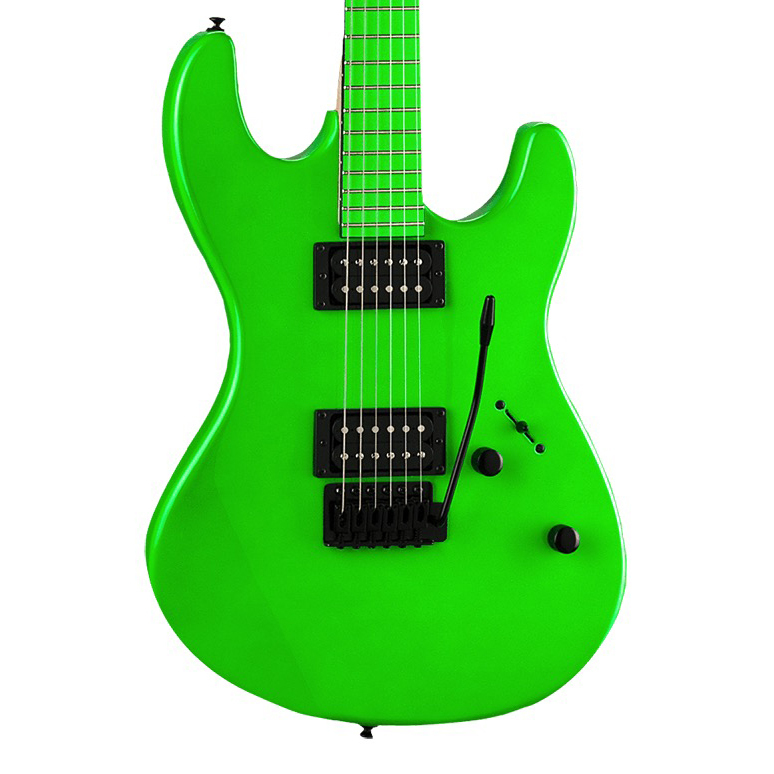 The maple fingerboard color matches the body and has black block markers and 20 frets. 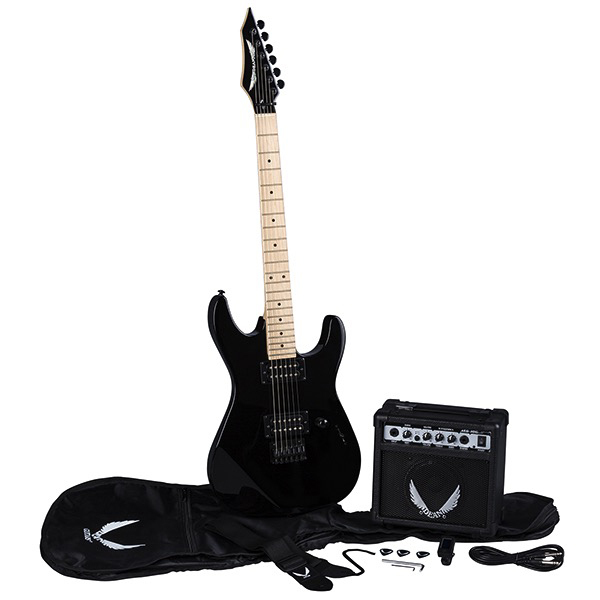 Split pickups and black hardware. 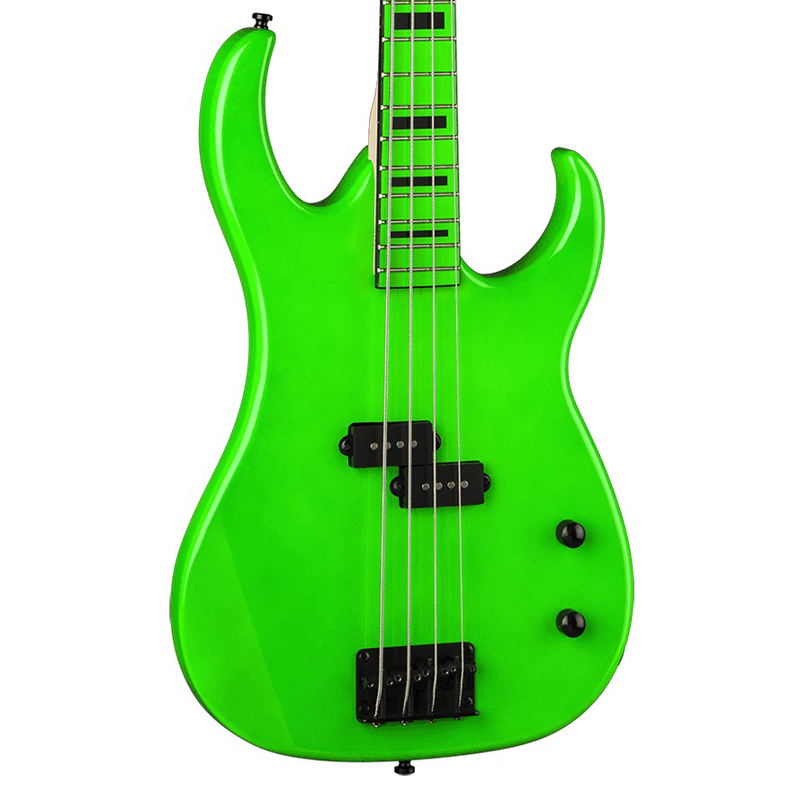 No one can say you have "just another bass."